Here comes the steal of a deal! 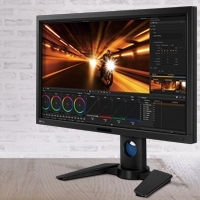 Built with 2700 ANSI lumen brightness, 2600:1 contrast ratio, and SVGA resolution, the BenQ MP615P delivers great picture quality that’s virtually color decay free. Thanks to its filter-free design, you’ll also costs. Save big on maintenance costs. The BenQ MP615P DLP® projector is virtually immune to color decay, which means you get to say goodbye to the yellow/green tint that some projector images develop over extended periods of usage! This is one technological advantage that you'll get to enjoy - year after year! Save Expenses with the BenQ MP615P DLP® projector‘s filter-free design! eliminate the need for filter cleaning and filter replacement, which can add on to your school's budget. It's time to put the extra money into much better use! A 2700 ANSI lumens projection lamp ensures the best viewing quality for your small sized classrooms. 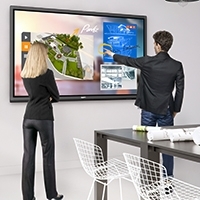 The MP615P offers bright and clear projection so you can give the perfect presentation. 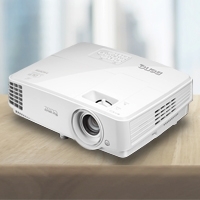 Thanks to BrilliantColor™ Technology, the BenQ MP615P DLP® projector delivers true-to-life images with enhanced secondary color brightness for your visual enjoyment! With built-in 2W speaker with the MP615P, not only do you get the vivid visual performance, you get the same audio satisfaction, too! Display subtitles in video content without the need for an external closed-captioning device with the MP615P. It's perfect for viewing in educational settings such as language classes where a transcript of onscreen dialog is desirable.